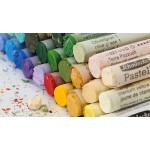 Set 10 Assorted - 10pc - PASTELS, When used in conjunction with other media, offer many interesting possibilities for creative activity. Apply directly to paper and then blend by rubbing with a finger, paper stump or a stiff brush. Pastels are ideal for exercises designed to develop colour awaren..
Set 15 Assorted - 15pc - PASTELS, When used in conjunction with other media, offer many interesting possibilities for creative activity. Apply directly to paper and then blend by rubbing with a finger,paper stump or a stiff brush. Pastels are ideal for exercises designed to develop colour awarene..
Set 30 Assorted - 30pc - PASTELS, When used in conjunction with other media, offer many interesting possibilities for creative activity. Apply directly to paper and then blend by rubbing with a finger, paper stump or a stiff brush. 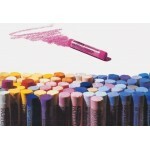 Pastels are ideal for exercises designed to develop colour awaren..
Schmincke Pastels. See the Colour Chart here and select from the Colour Options to request individual colours. A number of product records are required to show the full range of colours. . Working with Schmincke's finest extrasoft pastels leads you back to the origin of colour and ..
300mls Final fixative based on alcohol to protect water-colour paintings from humidity and dust, non-yellowing, age-resistant and colourless. May alter the colours of the painting depending on the quantity sprayed. May increase transparency of water-colour paper. Fast drying. We strongly recomm..